Community Health Improvement Partners (CHIP) will host its 2nd annual Brew Rendezvous on Sunday, May 18 from 1-4pm at SILO in Maker’s Quarter. Brew Rendezvous is a food, farm and craft beer pairing event that celebrates the unique role of craft brewers, local growers, and restaurateurs in cultivating community and health. The event raises awareness on San Diego's food movement and will benefit CHIP’s charitable efforts to tackle obesity through the development of a healthy, sustainable, regional food system. 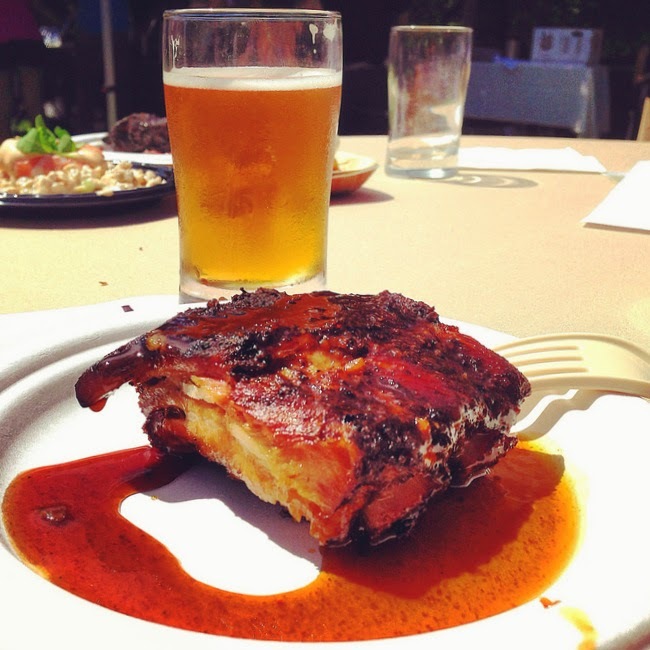 Brew Rendezvous includes live music, delicious menu tastings paired with local craft beers and raffle drawings. Brew Rendezvous will pair San Diego’s top breweries with the talents and products of local chefs and farmers, all with the help of Culinary Co-Chair - URBN Executive Chef Alex Carballo, Farm Co-Chair Noel Stehly of Stehly Farms Organics, and Brewery Co-Chair, Stone's resident Cicerone and pairing master, "Dr." Bill Sysak. Featured participants include URBN, Suzie's Farm, Alchemy Cultural Fare & Cocktails, Stone Brewing Co., Blue Ocean Robata and Sushi Bar, Beaumont's, The Grill at Torrey Pines, Coronado Brewing Company, Salt & Cleaver, Ballast Point, The Lost Abbey, Latitude 33, Mother Earth Brewing, AleSmith, Sadie Rose Baking Co., Stehly Farms Organics, Connelly Gardens, Viva Pops, and many more. San Diego State University College of Extended Studies Business of Craft Beer will be available during the event to share beer expertise and answer beer pairing questions. A healthy community requires a healthy environment, economy, social conditions, and food access. San Diego's growers, chefs and craft brewers are playing an important role in making these changes. They are using their resources to change our food system, are creating economic development and investment in the region and are providing employees with good paying jobs. “The local food movement encompasses environmental, social, and economic sustainability. Many believe that creating a more regional, sustainable food system could help solve many of our most pressing problems including obesity,” said Kristin Garrett, CHIP President & CEO. Tickets to the Brew Rendezvous are available online at the cost of $55 for general admission or $25 for designated driver passes and entitle the ticket holder to as many samplings as they want (no beer for DD's). Brew Rendezvous is open only to those 21 and older. 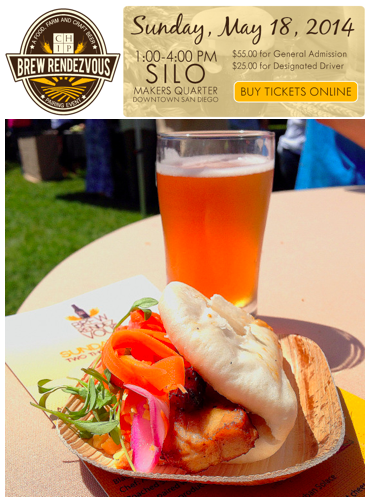 For more information, to purchase tickets, or to view the list of participating restaurants, farms, and breweries, visit sdchip.org/support-chip/brew-rendezvous.aspx.